Almost every living thing on earth relies on soil in order to grow, yet it’s an area that many people know nothing about. Without soil, our plants and trees wouldn’t have the right nourishment to get them through the day and would wither and die, so understanding how it’s created, how to best treat it, and why it’s so important is an integral part of being a good gardener. Simply put, soil is a mixture of many different things which come together to make the surface of the land. 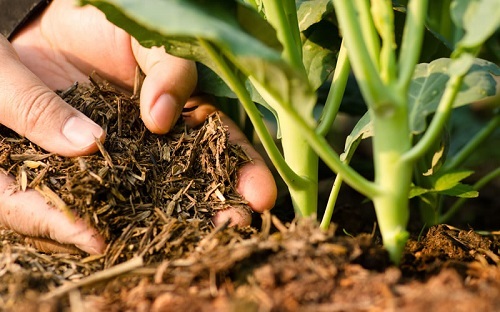 Common ingredients in soil are minerals, air, water, decaying things, organic matter, and other things which were once alive, but there are many different types of soil to uncover. When compared to dirt, soil is simply the richer and more alive of the two, whereas dirt doesn’t do much except create a mess. Once you have a better understanding of soil and its properties, as well as how to keep it at its healthiest, you’ll be well on your way to having a phenomenal garden. Too often do we spend time on the plants and trees around us without thinking about the importance of soil, which has quite a lot of say in the quality of how well we grow things in the garden. 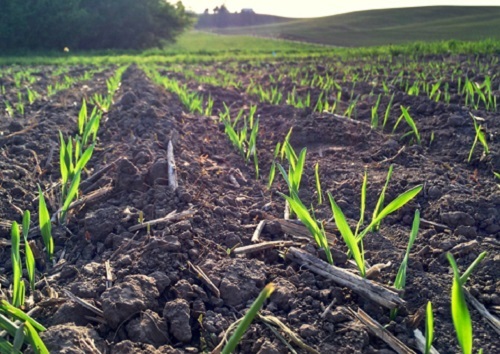 According to the Soil Society of America, the process of soil forming is quite a unique one when compared with other environmental occurrences. All soil formed first from a deposit at the Earth’s surface and some kind of parent material. This can include anything from a small rock that was carried by a river or a piece of bedrock that had been weathered down into place. As time goes on, the nature and makeup of soil continue to change, and with the help of the elements like sun and rain, gradually this parent material turns into soil and then onto something else completely. When the soil begins to age, it will no longer look like this parent material and so it can be hard to tell where it came from. Soil is continually changing, and there are new ingredients and materials being added to it constantly as well as others being stripped away. Everywhere in the world will have completely unique soil thanks to its surroundings, and you’ll find it very hard to have two samples of soil that are alike. However, scientists always refer to five common ways of determining how the soil was formed that are climate, organisms, relief, parent material, and time. For something so simple, there’s actually quite a lot that soil does for us and our gardens. 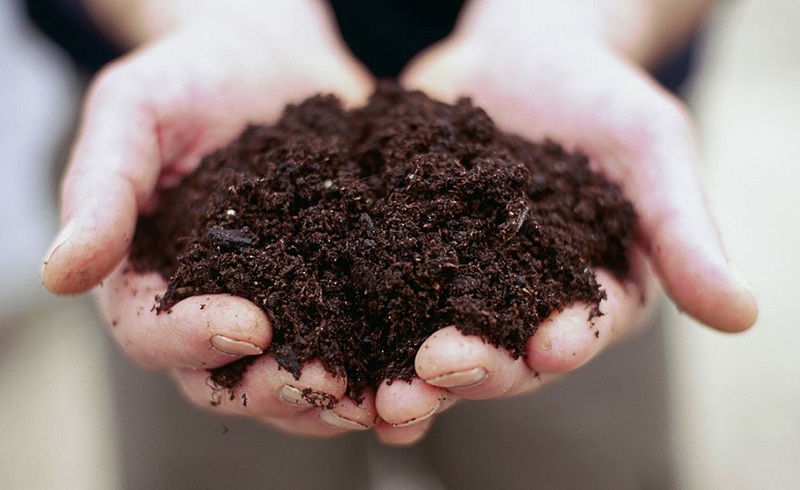 Here are just a few things that soil can do when you put it to work at your home. 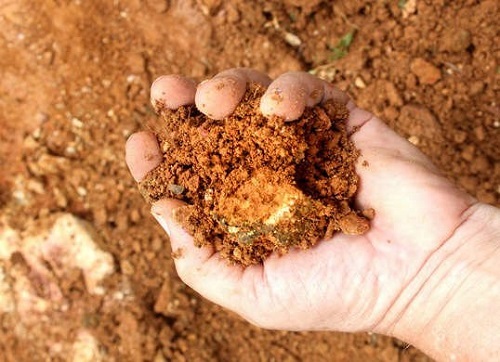 The qualities of soil are quite amazing, but to understand a little bit more about them it helps to look at the different types and what makes each of them such a unique material. What Are the Different Soil Types? Though there are more detailed soil orders that are used to identify all of the different types, we can usually determine soil by a general type as well. 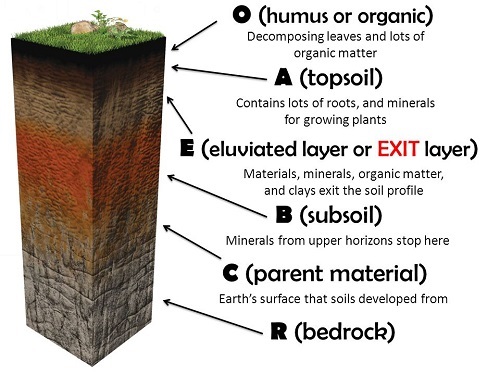 Here are the most common types of soil and where we might find them useful. As the most popular soil that we know in society, clay is often used to make things such as pottery. The characteristics of clay mean that when dry it’s hard and durable, but with water added it can be quite moldable. Plants are able to grow quite well in soil provided it has adequate drainage, but that can be problematic with soil. Sandy soil feels gritty just like you’d expect from sand at the beach and it can sometimes be lacking in nutrients needed to grow plants. However, it’s a free draining soil which is ideal for areas with poor drainage. This is one of the better soils for growing plants in, as it tends to be rich in nutrients and drain well. Silty sand feels smooth to the touch and can be compacted easily, but is very weak otherwise. Mainly made from high levels of organic matter, peaty soil is great for growing plants as long as fertilizer is added to it. The soil can be somewhat acidic and not always high in nutrients, which is why it’s essential to add fertilizer. This type of soil is usually found overlying lime or bedrock, and it’s quite alkaline. Chalky soil is free draining and has the potential to stop some nutrients reaching your plants, and so it’s advisable to use a quality fertilizer. 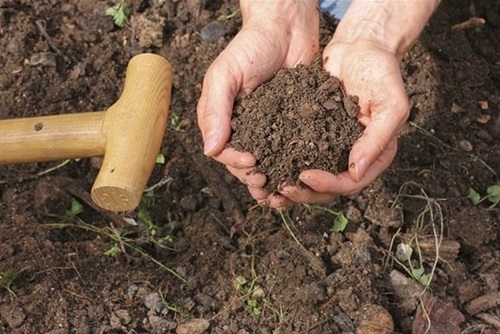 By far the best soil to use in terms of gardening, loamy soil is soft to the touch, it retains moisture but drains well, and is full of nutrients. This is what most gardeners aim for with their soil, however, it can be hard to achieve. What Are Common Soil Orders In US? In order to better understand the various different types of soils and what their best purpose is, soil scientists in the United States have put in years of research to understand how they all work. By using a classification system that is similar to the one used to identify animals, these scientists have been able to identify several different levels of classification. Every state in the US even has their own soil, just like you would find with a representative flower or bird, and it’s something taken very seriously. Each of the different types of soil can all be judged on how fertile they are, and how well they can help the growth of other organisms. Basically put, a soil’s fertility refers to how well they are able to sustain the agricultural growth of a plant and is the most important thing to consider when looking at the soil in your garden. 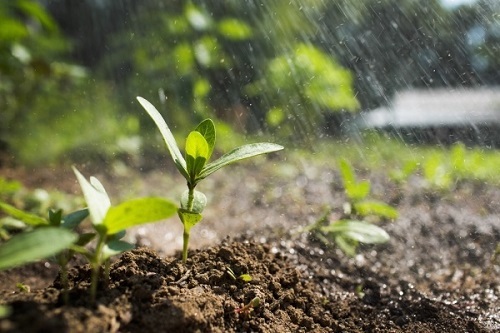 A fertile soil will be able to supply plants with everything they need to grow to their best ability, including giving it nutrients and water. If you’ve been looking at testing the soil in your own backyard, there are a few easy ways you can do so. With a better understanding of the fertility levels of your soil, you’ll have the best approach in place to enable them to grow, as you’ll know their pH levels and nutrient content. There are two choices you can use when testing your soil’s fertility, including using a home testing kit or having a sample sent away. Both of these will check the pH levels of your soil and also show you what nutrients are present so that you can establish whether or not it will assist you in growing the plants and garden that you dream of. Get a plastic cup from your kitchen and fill it with soil from your garden, first choosing a spot where you have many plants. Try to fill it to the top with at least four to six inches so that you can an adequate sample size. Move to a new spot in your garden and collect another sample with the same amount, and then move around to about six other areas and do the same. 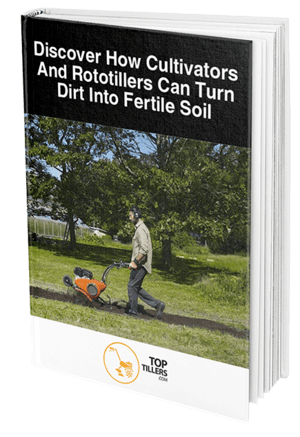 This will ensure you get the most comprehensive reading of the soil fertility of your entire garden. Once you have numerous different samples, mix them together in one cup and then divide them into two separate cups. Keep these cups in a plastic bag and prepare them to be sent off or tested for yourself using a home kit. When you get the results of your soil test, you’ll have quite a few questions answered. These tests can show you the type of soil you have in your area as well as anything that might hinder growth, and they will be able to point out ways you can improve its fertility. For anyone looking to start a garden or improve on theirs, it’s essential to do a soil fertility test first. 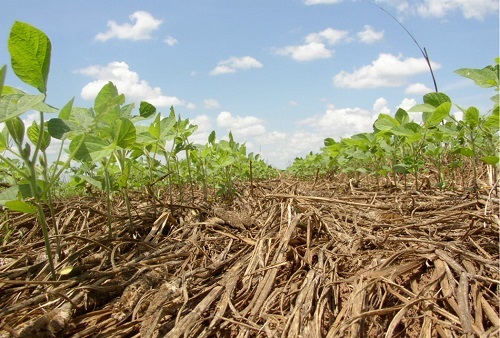 What Are Some Soil Conservation Practices? As beneficial as it is to the earth, we often do things that can be damaging to soil without thinking about it. Whether it occurs as a natural happening in the environment or there is some man-made trauma causing it, we need to ensure we are conserving our soil for future generations. There are a number of things that do damage to soil, including slash and burn clearing of fields and chemical contamination, and so some people have begun committed to conserving soil. However, these popular methods of soil conservation are just a few ways to prevent serious damage in the future. This means farmers will plow grooves into the ground and plant their crops into the furrows, preventing runoff. The process of terrace carving means that you carve a few flat level areas into the hills so that it can prevent runoff. Some farmers plant cover crops of plants such as radishes so that they can blanket the soil for the entire year and keep it protected. By far the most important thing to do for good soil is to run a fertility test so that you can be treating it with any means possible to make it more conducive to growth. Cultivation, or the act of turning up and moving the soil, has its pros and cons but is usually required in order to remove weeds and pests. If you can avoid it, try not to cultivate your soil in a garden bed at home otherwise it can do serious long-term damage. When we understand more about how unique each type of soil is and what conditions they are usually suited to, we become more in tune with how to grow things in our garden. No successful gardener ever achieved their dream garden without quality soil, so it’s essential to understand what you have in your own backyard and how you can make it work.